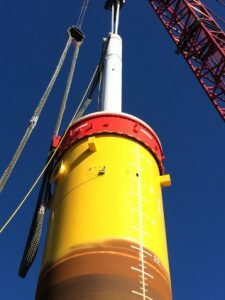 In May 2015 Allnamics performed Pile Driving Analysis (PDA) during the installation of 5 monopiles for the wind farm Westermeerwind in the Dutch IJsselmeer using the Allnamics PDR. 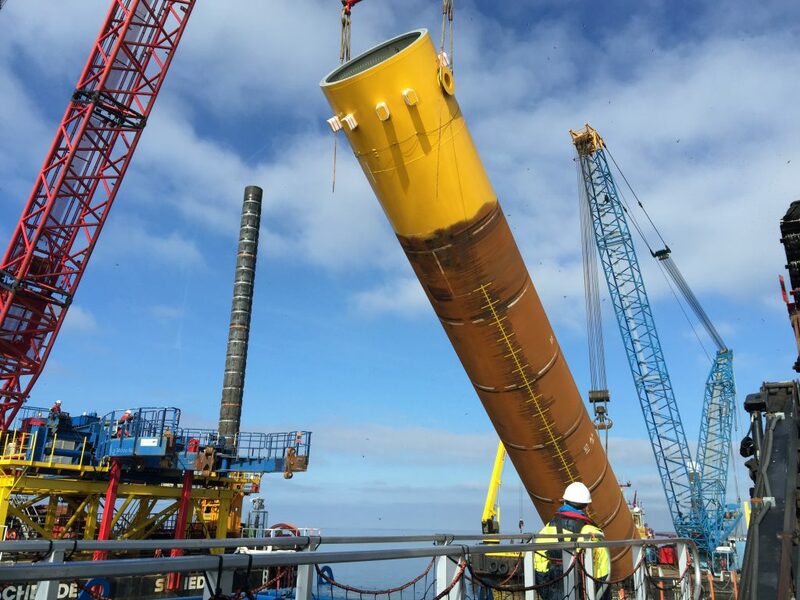 The marine part of the Westermeerwind project consists of 48 wind turbines of 3 MW each. The foundation for these turbines is a steel mono pile with a diameter of 5 m (17 ft) and a length between 35 and 45 meters (100 to 150 ft). The piles were driven to depth using a hydraulic impact hammer IHC S-800. The measurements were taken with Allnamics’ wireless PDR system. 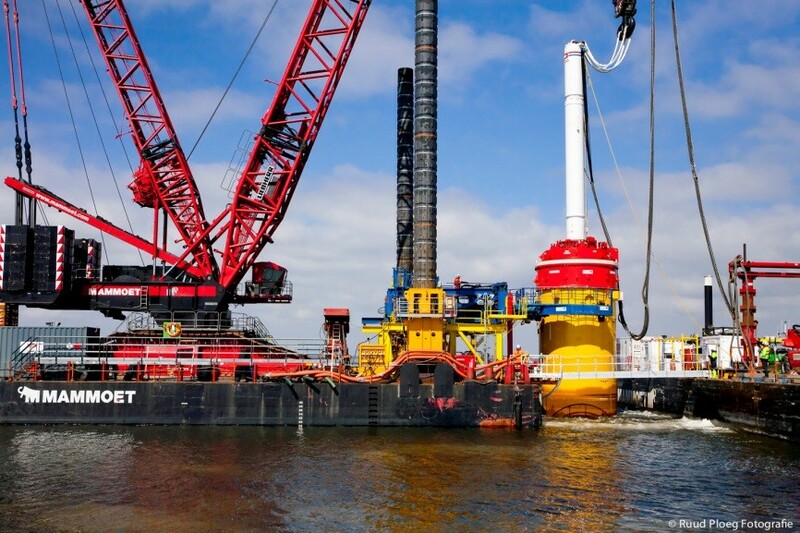 Prior to transport to the job site the sensors and sensor cables were mounted on the pile at the fabrication yard in Flushing in the South of the Netherlands. On the day the pile was driven into ground the PDR was mounted and connected to the sensors. The system recorded for each hammer blow all relevant data, incl. the impact energy of the hammer, the compressive stresses in the pile and the dynamic pile resistance. 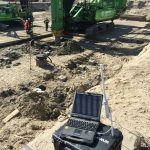 In this particular case the owner was mainly interested in the maximum stresses during each blow to ensure that no unacceptable pile driving fatigue damage occurred. About Allnamics PDR, a multichannel multi purpose monitoring device, please feel free to contact us. 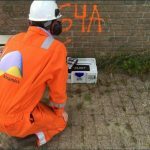 Know more about the project Westermeerwind? The Dutch website is : http://www.westermeerwind.nl.